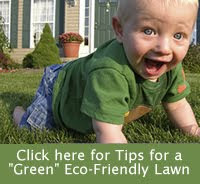 Many eco-friendly gardeners think that turf grass is a bad thing. The truth, of course, isn’t that the GRASS is bad. What can be bad, and detrimental to the environment, are the actions that people take to keep their turf grass green, manicured and healthy looking. People often over-water their lawns and apply dangerous chemicals to help keep the grass green. They can also pollute the environment by over mowing and trimming. So I think it is great that the National Arboretum is planning an exhibit to teach people about the benefits of turf grass, along with proper maintenance techniques. The National Arboretum is currently raising money for the conceptual design phase. The goal is to install the exhibit for an opening by spring 2013. Plans are to continue the exhibit through 2016 or 2017. For more information, here is a pdf file of the proposal.